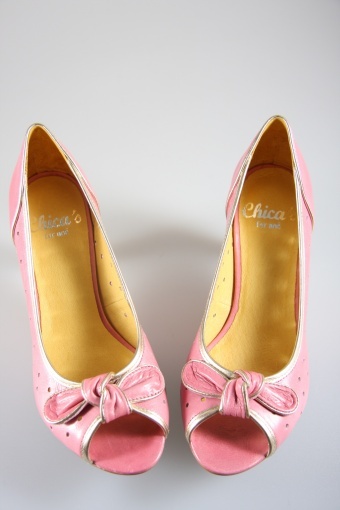 Zeus peeptoe bow pumps perforated leather Rosa Platino stacked heel from Chica's for Noë Pumps, a Belgian quality shoelabel. 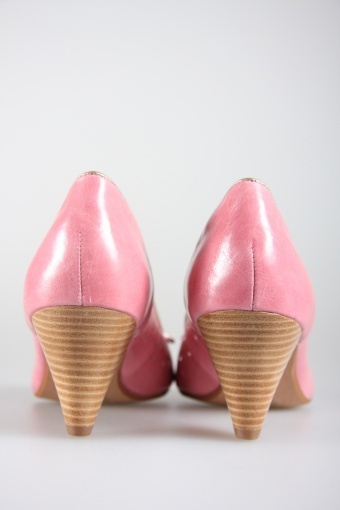 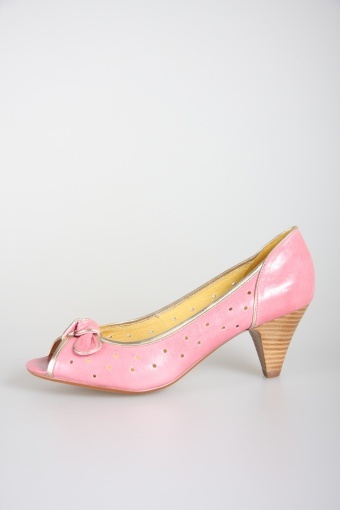 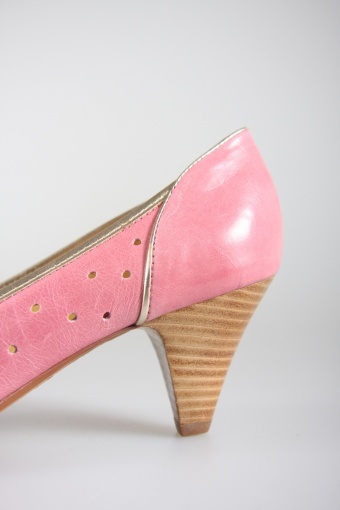 These lovely retro pumps are made of topquality pink perforated 'polka' Italian leather inside and outside. 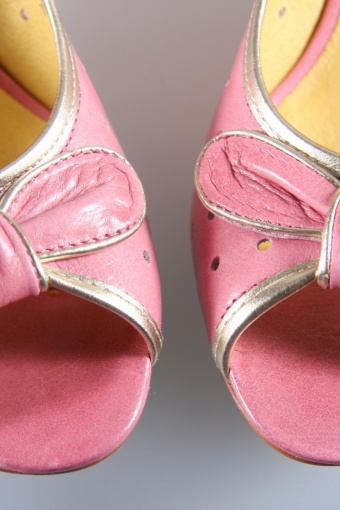 Featuring silver piping and a cute subtle bow on the nose. 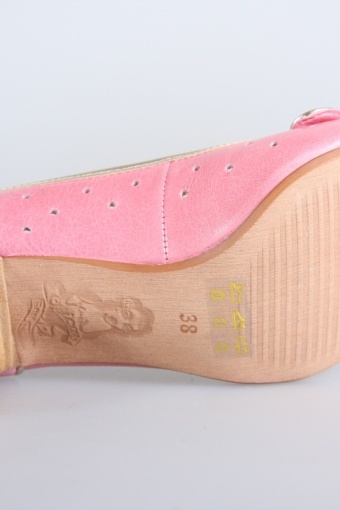 Nice 6 cm / 2.4 inch contrasting stacked wooden heel. 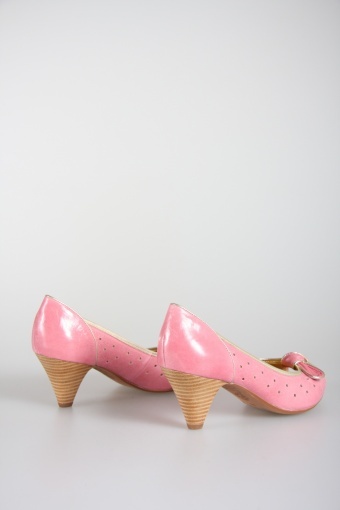 Super comfortable ftting: on these elegant shoes you can walk, dance or shop for hours without hurting your feet!